Have a little Sunday Funday at Barefoot Breakfast! 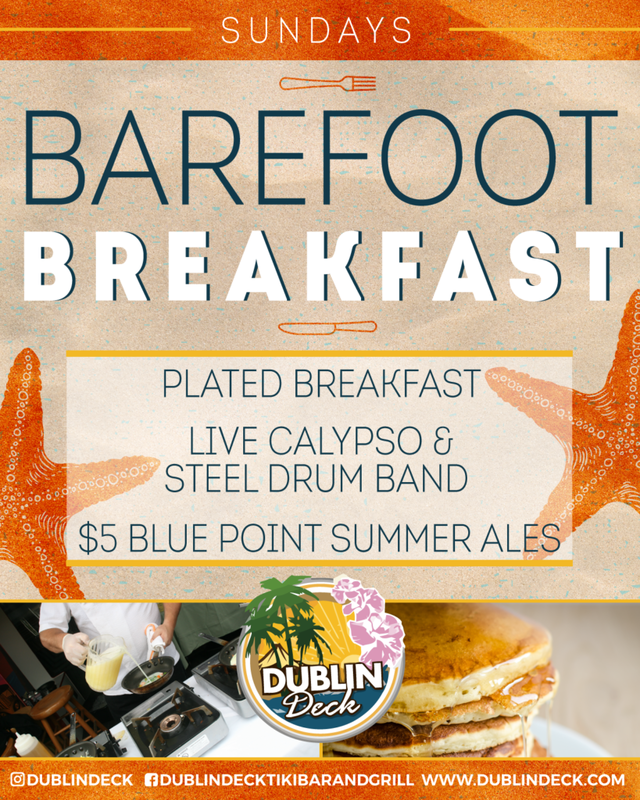 Enjoy plated breakfast and $5 Blue Point Summer Ales while listening to our live calypso and steel drum band. 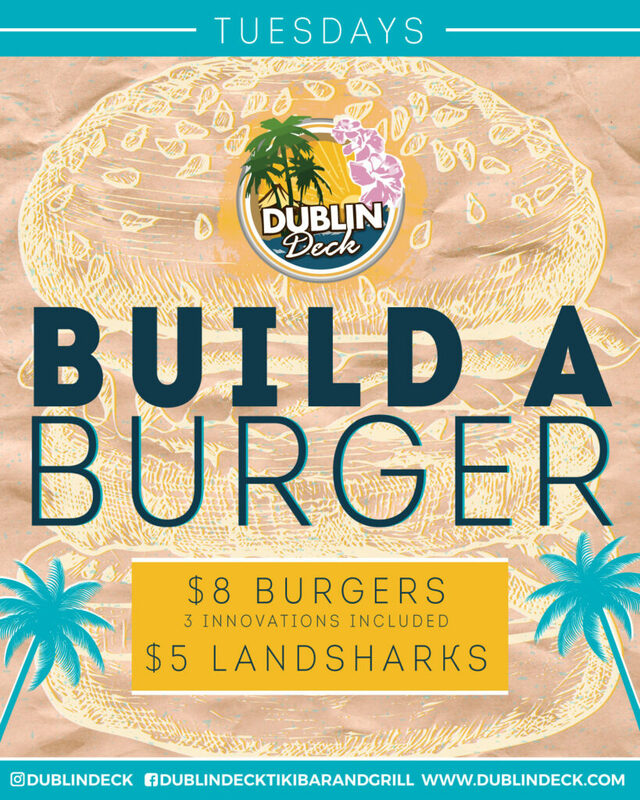 Stick around after breakfast to see which of your favorite Long Island bands will be playing at Dublin Deck at 4pm. Start up your week with our Mussels & Mugs Monday special! Enjoy half-priced mussels in your choice of red or white sauce. 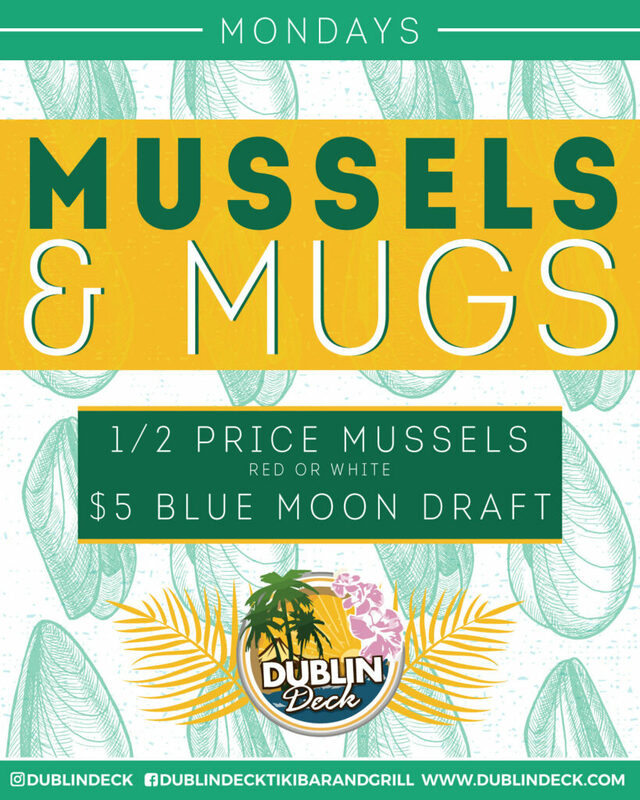 Pair those mussels with a few $5 Blue Moon Drafts as the perfect compliment. There's no better way to spend your Monday - trust us! 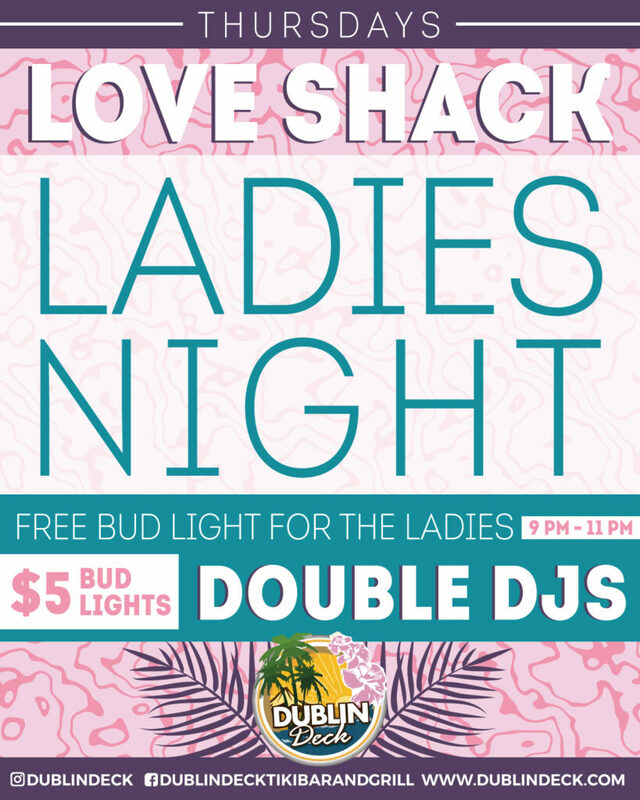 Thursdays are for the Ladies here at Dublin Deck! Get your weekend started early with $5 Bud Lights all night and free Bud Lights for the Ladies 9pm-11pm. 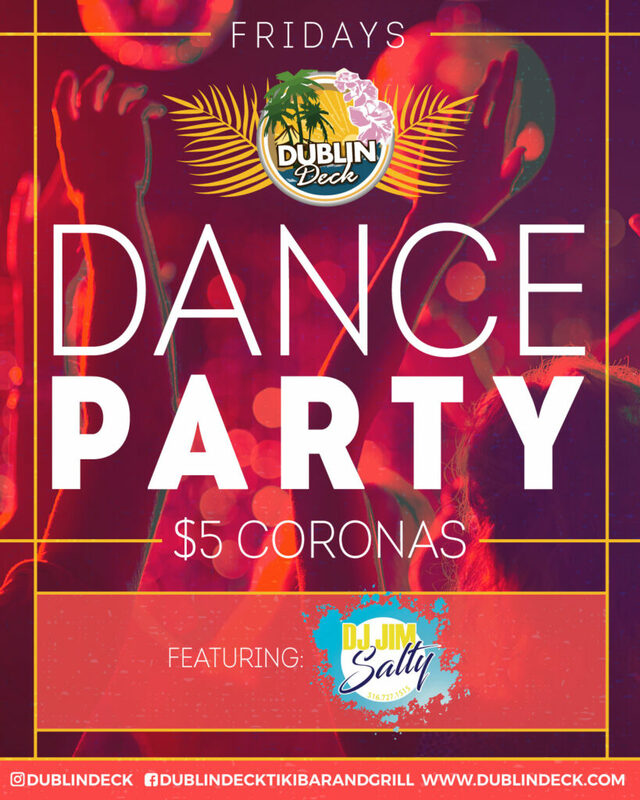 Get out on the dance floor and enjoy our Double DJ's playing your favorite hits! 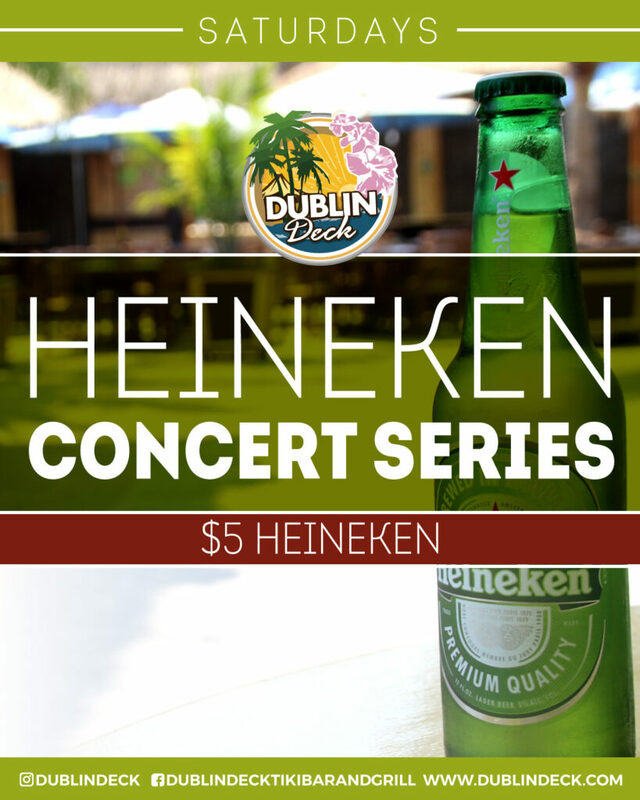 Kickstart every Saturday night at the Dublin Deck Heineken Concert Series! 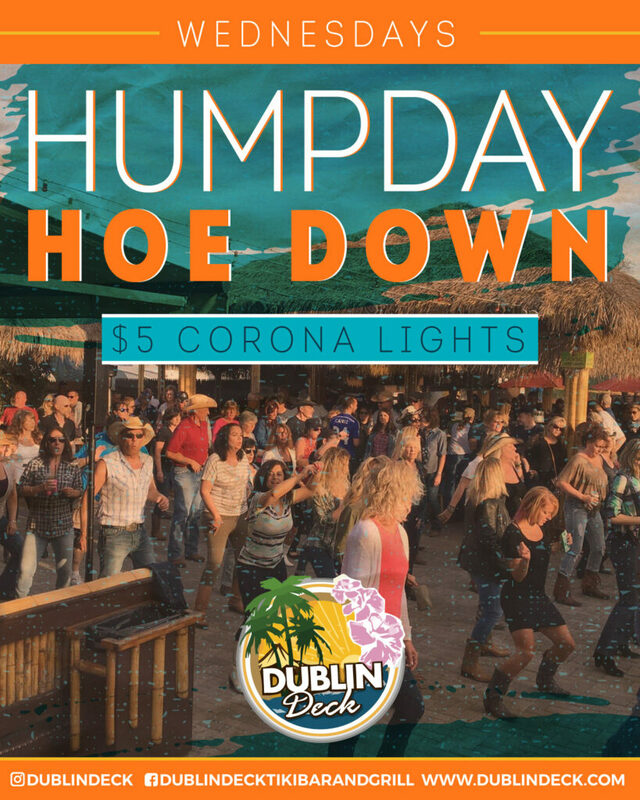 We'll be serving up $5 Heinekens all night with some hits and throwbacks with some of the best bands on the Island & dance music under the lights featured by DJ Jim Salty.